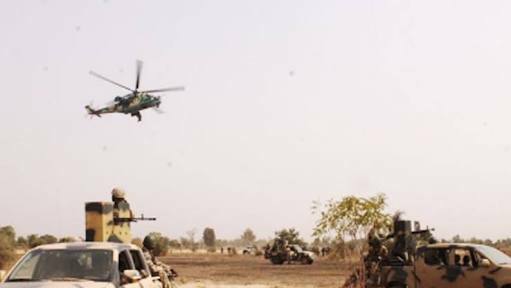 Task Force (ATF) of Operation LAFIYA DOLE and Allied Air Forces provided air support to repel an attack by Boko Haram terrorists in Baga. NAN reports that the fishing town was attacked by so-called members of the Islamic State of West Africa Province (ISWAP) on the evening of December 26. He said the ATF also provided support for Nigerian Army (NA), and Nigerian Navy (NN), troops at the Naval Base at Doron Baga, “which equally came under attack by ISWAP fighters on the morning of December 27." 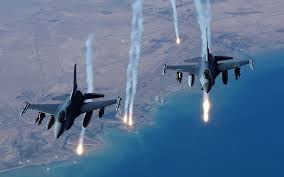 According to Daramola, the ATF deployed two ISR platforms, two Helicopter Gunships and two Alpha Jet aircraft to provide ISR and close air support to the troops. “The NAF and allied ISR platforms also spotted two ISWAP vehicles heading southwards from Baga and vectored the Alpha Jet aircraft to attack the vehicles, completely destroying one of them and neutralising the occupants. “In order to enhance the quality of coordination between the air and ground operations, the Theatre Commander and Maritime Component Commander were carried onboard the ISR platform during one of the flights,” he said.